Asthma is an inflammatory disorder of the lung that has a high and increasing prevalence in developed society. It is characterized by chronic airway inflammation, reversible airway obstruction, airway hyper-responsiveness, and ultimately airway tissue remodeling. Current treatments generally include targeting the underlying inflammation while concurrently dilating airways with long acting bronchodilators in an effort to minimize irreversible airway remodeling and control the frequency of exacerbations. Despite this, no treatment exists that addresses the underlying disease or reverses lung remodeling during chronic asthma. Due to its complex nature, there is no single animal model that can completely recapitulate all the etiologies of adult and childhood asthma. Consequently, customization of the model, challenge, and treatment are critical to optimize effective and clinically translatable outcomes. 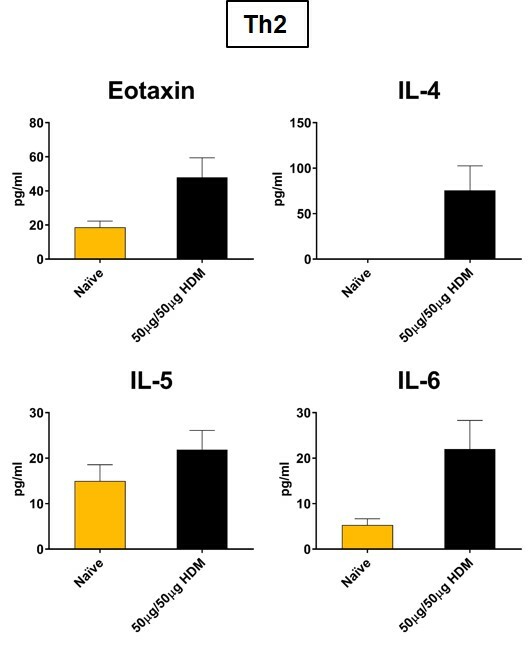 Biomodels offers a mouse model of Ovalbumin (OVA) induced allergic asthma. 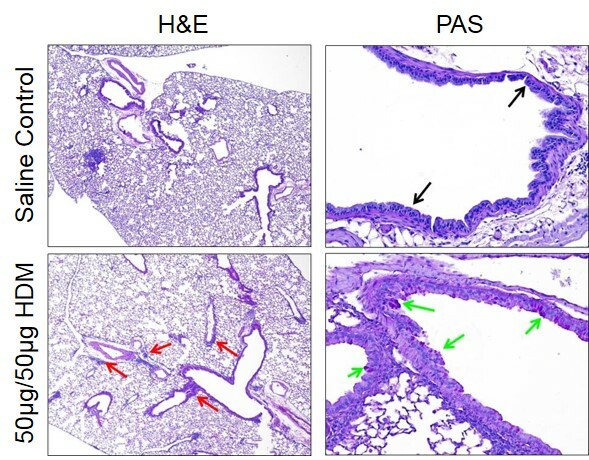 In the acute model, mice are sensitized with an I.P. injection of OVA and adjuvant on days 0 and 7. 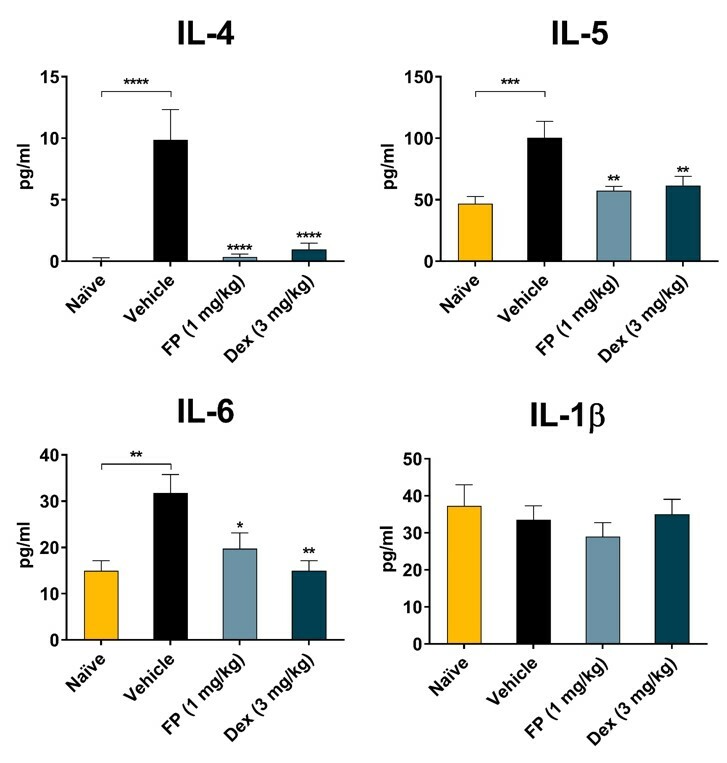 Mice are then challenged with intranasal delivery of OVA (10-200 µg) in saline on days 13-15 with endpoints being conducted on or about day 16. Chronic versions of this model run from 28 days up to 12 weeks depending on the specific application need. 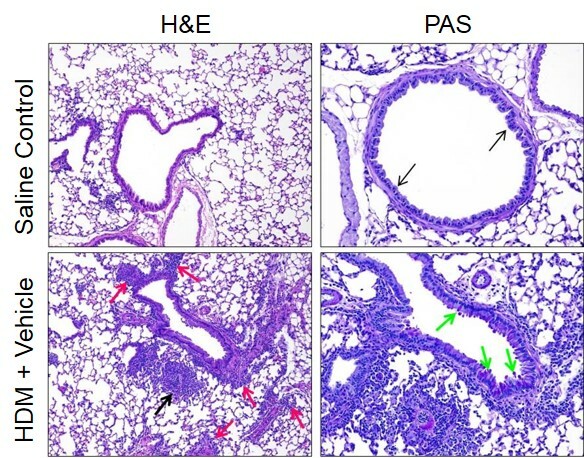 The OVA model has been the most widely used pre-clinical allergic asthma model and recapitulates many of the hallmarks of allergic asthma in humans. These include elevated IgE and TH2 related cytokines, mucus hypersecretion, airway inflammation, goblet cell hyperplasia, epithelial hypertrophy, and airway hyperreactivity to stimuli. 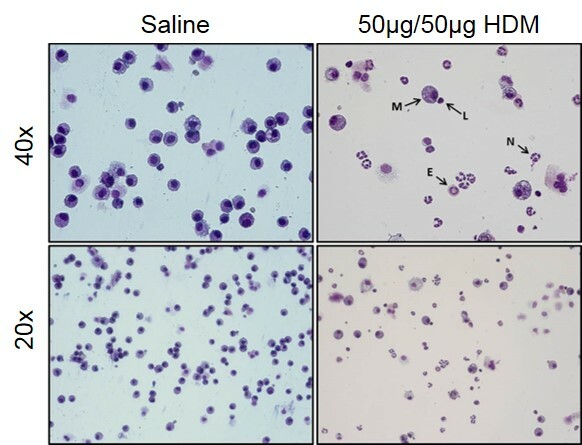 Endpoints in this model generally include total and differential cell counts as well as inflammatory mediator content in the broncho-alveolar lavage fluid, airway hyperreactivity and detailed lung mechanics measured with the flexiVent™ rodent mechanical ventilator as well as histopathology and immunohistochemistry on lung sections. As an alternative to the OVA model, Biomodels offers house dust mite (HDM) and cockroach allergen (CRA) models of allergic asthma. 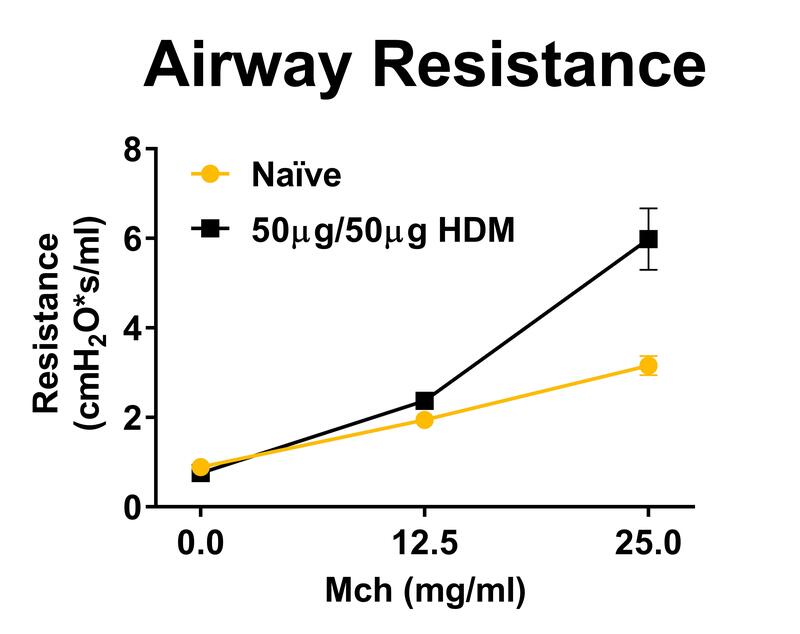 An example of the acute HDM regimen would include sensitization on days 0 and 7 via the respiratory tract, challenge on day 14 with endpoints on day 15. A CRA regimen would include intratracheal administration of CRA allergen on days 0 and 14 followed by challenge on day 21. Similar to the OVA model, the HDM and CRA models recapitulate many of the chronic asthma hallmarks seen in humans, however the HDM and CRA models utilize more clinically relevant allergens, (in general, OVA is not implicated in human asthma), as well as a more relevant route of sensitization, the respiratory tract.